Everything begins to crumble when Cedric discovers Adelaide’s ruse, and she catches the eye of a powerful young governor, who wants her for a wife. She didn’t leave the gilded cage of her old life behind just to become someone else's property. But nothing is as daunting—or as wonderful—as the potent, forbidden attraction simmering between Adelaide and Cedric. One that, if acted on, would make them both outcasts in a wild, dangerous, uncharted world, and possibly lead them to their deaths. I'll be honest, I have yet to read a Richelle Mead book (The Glittering Court not withstanding). I have quite a few of them on my TBR list, but have yet to actually pick one up. When I read the synopsis for The Glittering Court I knew that immediately had to change. I was lucky enough to receive an ARC from the publisher and devoured Adelaide's story. Growing up with wealth and privilege, Adelaide decides she is done living her life by others rules and takes matters into her own hands. Her arrival at the Glittering Court thrusts her into friendships with Tamlin and Mira, who are amazing secondary characters. These ladies have secrets of their own, making them all the more interesting. Coming from completely different backgrounds (even with Adelaide's being a slight lie), these three girls form an amazing bond that carries them not only through their courses and the Glittering Court, but also when the arrive in Adoria. Adelaide is full of strength, determination, and bravery. Not only is she willing to go above and beyond for her dreams, but also for those of others. She abandons the only life she has ever known in search of one that makes her happy. She doesn't second guess her decision, she just goes for it. Her relationship with Cedric is honestly perfect. I'm not going to go into too much detail, because spoilers, but just know that what Richelle does with these two is top notch. Full of romance, secrets, deception, and page turning events, The Glittering Court is the perfect novel to get yourself lost in. In a time where all I wanted to do was veg out in front of bad TV, this novel was able to remind me of my love of reading. The characters are intriguing, the story engrossing, and the writing spectacular, and my personal favorite, the romance swoon worthy. 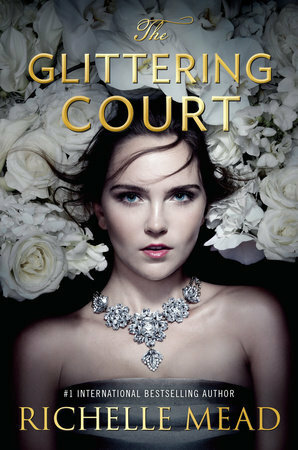 I cannot wait to read more of Richelle's stories and I'm eagerly awaiting the announcement of The Glittering Court #2.